All I do is slice and serve them on a salad or give them a nibble for a quick snack while out foraging. Pickling them is also an option. To harvest, wait until you can see the little cattail reed emerging above the water's surface by about 5-6 inches. Then give er' a pull straight up. You'll get a little "pop" and out comes your cattail shoot. The edible portion is the white area. 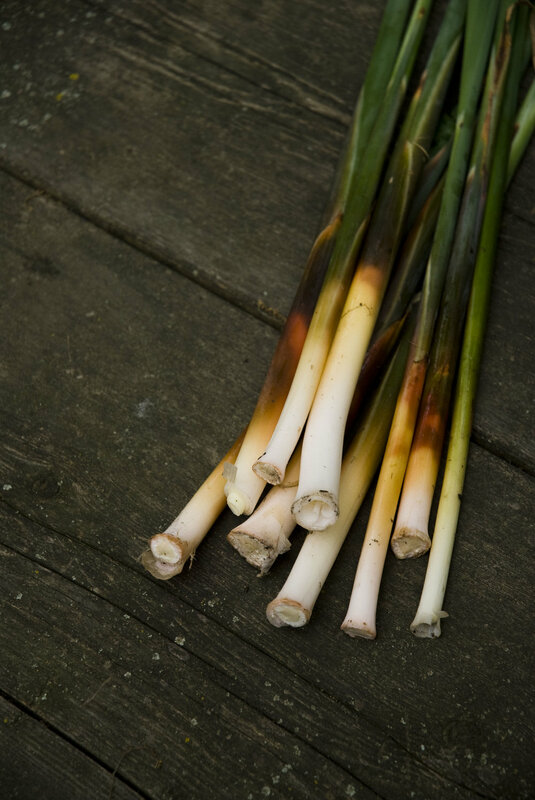 Generally I peel a bit of the outer portion off of the cattail as the outermost layer is most fibrous. Once peeled all one need to do is slice, indulge, and enjoy. There you have it friends. No fancy recipe necessary here. Just slice em', toss em' on your salad and drizzle on a little dressing. Foraging appétit.